Many churches go through a vision process. Hundreds of committee hours researching, praying, and formulating a vision statement, a mission statement, and purpose platitudes. What I’ve discovered is that the church leadership LOVES the navel gazing. Leaning forward to examine their belly buttons: the inner workings of who they are and how they do it. Nooks and crannies that haven’t been examined for years; what a church should be, and what it should be doing. They love examining scriptures so everyone can know confidently the direction that should shape their efforts. And they almost always discover exactly what every other house of worship does. It’s usually about making disciples, helping them mature, and pushing them outside of their walls to reach the lost. It often looks like “Gather. Grow. Go.” or “Make. Mature. Multiply.” Why the similarity? It’s because the Bible’s quite clear what every church’s role is! So, after spending months and months looking internally, the committee emerges from their meetings and, with joy and pride, they announce the new slogan that will give their congregation raison d’être — why they exist. They order bumper stickers, signage, and pens with it emblazoned proudly on each piece. Is it any wonder that the community looks at the Church and wonders why it took that long to figure out why we exist and what we’re aiming to accomplish? If it takes us that long to identify why we “have church”; why would they want to be part of the group that doesn’t fully understand why they attend? 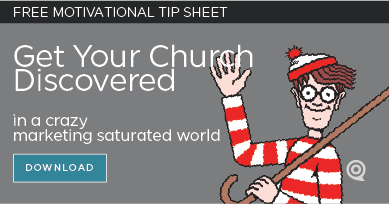 A vision statement isn’t something that will engage your unchurched community. 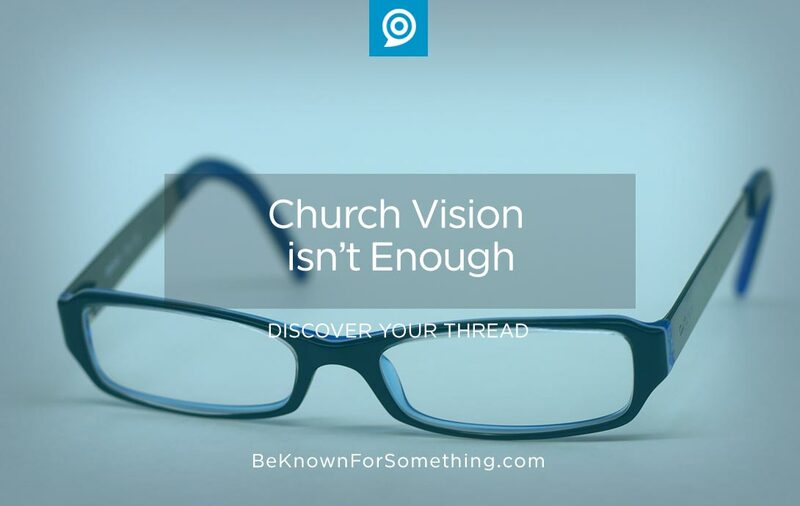 So is a Church Vision process useless? No. If it allows leadership to focus and give a Sermon Series of why God uses the membership, I think it’s good. But I’m not sure it’s worth tens of thousands of dollars to research scripture just to discover what you can google and identify within a few minutes though. Imagine that you’re very hungry, and you’d like to have a great chicken sandwich. You spot a Chick-fil-A, pull into the parking lot, jump out of your car, and proceed to the entrance. You pull open the door, and the aromas make you anticipate the chicken sandwich even more. Nevertheless, the manager stops you and starts to explain his business plan and the reason his staff cooks amazing food. You interrupt him and say, “But I just want a chicken sandwich.” Ignoring your comment, he continues to share the importance of his mission. You want a chicken sandwich. Instead of giving to you what you want, he’s telling you why he wants to do what he does. He’s keeping you from getting what you’re looking for. Church! Let’s take what the Bible says about the power we have within our group and convert that mission/vision/purpose into a true communication thread that will provide a benefit for the community. A real benefit for attending. Let’s talk about our “chicken sandwich” that everyone wants. It’s better use of our time to spend it on finding out what the community is needing and making sure we offer a quality product for them. A Vision answers the question WHAT are we doing.. what will get people to follow the church and come to the church is WHY you do what you do. This is your values.. This is your chicken sandwich…. I believe that our “what” and “why” need to be converted into a “benefit thread”. The “what” and “why” will attract people from other congregations while the proper “benefit thread” will attract the community. It allows us to grow more substantially if we discuss the “what” and “why” internally but promoting the “benefit thread” externally. Most people can’t name the benefit of attending their church when the community asks. So let’s control our language internally so we can reach our external communities!